President Donald Trump’s foreign policy announcements are routinely met with astonishment and incredulity by critics with cries that he is strategically incompetent and dangerous. It is far too soon to assess whether or not the president’s decisions will end up being good or bad for the United States. Arguments are valid on both sides. But his success already is to have turned global thinking on its head, jolting governments out of complacencies that have festered for far too long. Buy Humphrey Hawksley’s new book Asian Waters here. The US-led rules-based order set up 70 years ago after the Second World War is creaking at the seams and being tested on numerous fronts, mostly by a newly belligerent Russia and the expanding influence of China. It has proved itself incapable of reforming for the modern age. Therefore Trump, brandishing his Twitter account, has stepped in to show the way. First step is to challenge entrenched thinking. The president initiated his foreign policy even before moving into the White House when in December 2016, he accepted a congratulatory call from President Tsai Ing-wen of Taiwan. By speaking directly to her, Trump smashed into a bedrock of modern diplomacy, the One China Policy, in force since 1979. Taiwan, population of 23 million, is Chinese territory that the Communist Party failed to capture when it seized power in 1949. Beijing has pledged to take it back, but so far failed. Instead, under American mentorship, Taiwan has become both a first world economy and modern, thriving democracy, a success story that rubs badly against the aspiration of China’s one-party state. Under the One China Policy, a government can have diplomatic relations with China or Taiwan, but not both. Consequently, Taiwan is only recognized by the Vatican and sixteen foreign governments, mainly small countries in the Caribbean, Latin America and the South Pacific. Trump responded to criticism for taking the call by questioning the One China Policy itself, something no US president had yet dared to do. He later expanded his China thinking into the current trade war underwritten by hard-hitting condemnation of Beijing’s authoritarian practices. This US policy has led to heated arguments within the Beijing leadership on how far President Xi Jinping can now afford to go with his hard-driving expansion plan in the face of increasing American hostility. China still needs the US, more than the US needs China. In a similar way, Trump broached the unthinkable on North Korea, suggesting the US would carry out airstrikes that would destroy the regime of Kim Jong-un, or Little Rocket Man as the president popularly named him. Until then, such strikes were off the table on the grounds that they would fuel China’s wrath and risk a retaliation that would destroy the South Korean capital, Seoul. The result, for the time being at least, is that the prospect of war in one of the world’s most dangerous places is off the table. Included in Trump’s other initiatives are pulling the US out of the Iran nuclear treaty designed to stop Tehran developing a nuclear weapon and out of the Trans Pacific Partnership aimed at creating a rules-based trading bloc among Pacific nations. He has also questioned the viability of the 28-member European Union and NATO, the 29-member Atlantic military alliance, that has acted as Europe’s security umbrella since 1949. In each case, policy planners have been forced to accept the vulnerability of traditional alliances and imagine a global environment in which the US plays a different role, mainly that it will no longer be the go-to leader in a crisis nor the punch bag when things go wrong. Some scenarios envisage something catastrophic, as with this week’s scrapping of the nuclear weapons treaty with Russia, leading to new global arms race. Alternative scenarios could see regions taking more responsibility for their own destinies, but not necessarily at America’s expense. The European Union is now working with Russia to keep the Iran deal alive, thus being accountable should Tehran ever be proven to have a nuclear weapon. Europe is also looking hard at its own security realizing that the time has come to lessen its dependence of America. In December 2017, it set up a new framework, Permanent Structured Cooperation, to look into shared defense needs. Asian, Latin American and Australasian governments are working to revive the Trans Pacific Partnership albeit under a different name with Japan and Australia taking leading roles, and possibly with China, excluded from the TPP, now having a substantive part. If this succeeds, countries traditionally hostile to one another will have to work together, including the region’s big beasts of China, India and Japan. Viewing the new Asian and global landscape, China has already reached out to Japan and India, its two historic enemies, understanding that with the US drawing back, it will have to learn to coexist more skillfully with its Asian neighbors or risk a war it does not wish to fight. The strengthening of alliances within regions is good for modern geopolitics. Done well, it would form a front against super power hegemony, so feared from Russia and China. And despite cries of American decline, US soft and hard power will remain the dominant global force for long beyond the end of the Trump presidency. 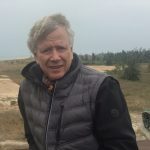 Humphrey Hawksley, an Asia specialist, is the author of Asian Waters: The Struggle Over the South China Sea and the Strategy of Chinese Expansion and of the US-Russian border thriller Man on Ice.